The first thing we need to do is set our project up with Ajax. Right click your project and open the Nuget Package Manager. 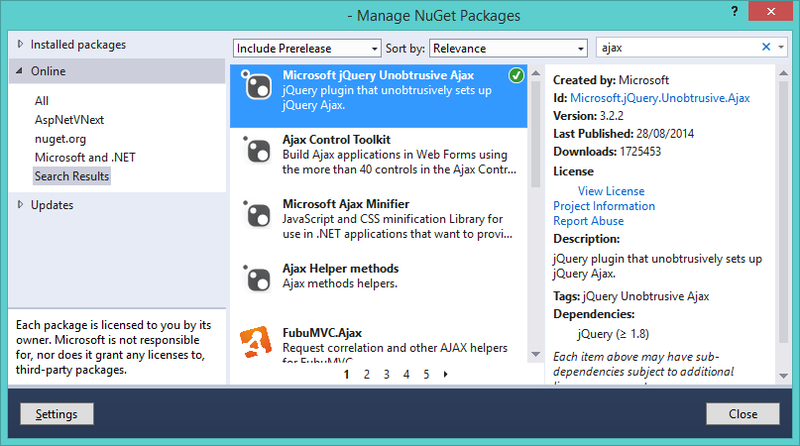 Search for "Ajax" and install the Microsoft jQuery Unobtrusive Ajax package. This should be included in your master _Layout page using @Scripts.Render("~/bundles/jquery"). Named parameters using [text]: have been a feature of Visual Studio since 2010 and are a nifty little feature to make your code more readable. 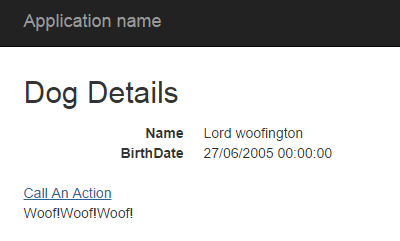 This ActionLink presents a link with the given linkText and when clicked calls the Action (given by actionName) on the Dog Controller. The AjaxOptions allow you to modify the exact behaviour of the Ajax call. 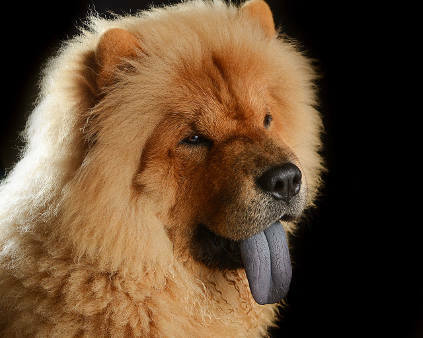 When we click this the text "Woof!" is added to our ajaxtarget div. Clicking repeatedly appends the text to our div. This is pretty nifty, but what else can we do? Go to the Next Post to find out about using PartialViews and Ajax Forms.